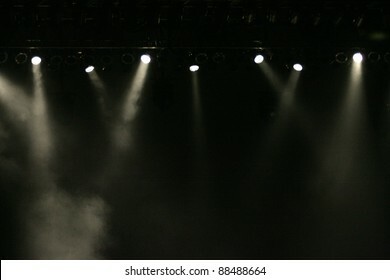 1,289 stock photos, vectors, and illustrations are available royalty-free. 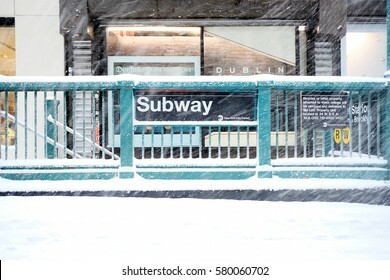 NEW YORK - FEB 9: View of a subway station entrance as snow falls on February 9, 2017 in New York. 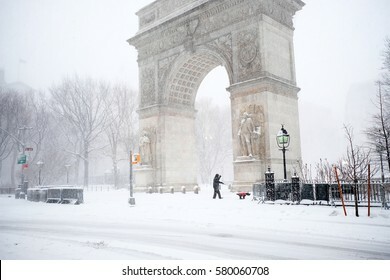 Snowfall totals of approximately six inches fell in and around NYC. 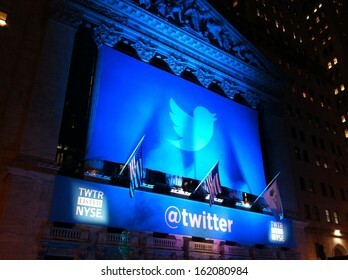 NEW YORK - NOVEMBER 7: The Twitter logo is shown in front of the NYSE on November 7, 2013 in New York. 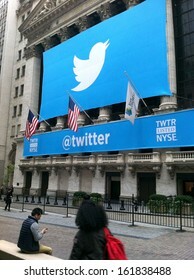 Twitter, ticker symbol: TWTR, went public today at $26 per share. 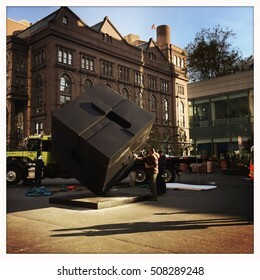 NEW YORK - NOV 1: NYC employees re-install the Alamo sculpture at Astor Place on Nov 1, 2016 in New York City. 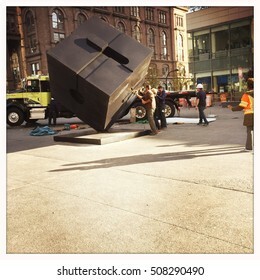 The sculpture was created by artist Tony Rosenthal and first installed in 1967. 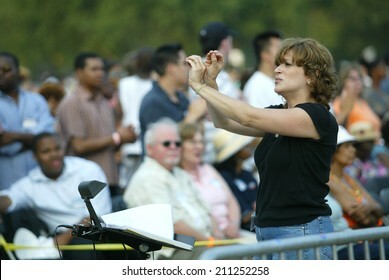 NEW YORK - JUNE 25: A sign language interpreter gestures during the Greater New York Billy Graham Crusade in Flushing Meadow Corona Park June 25, 2005 in the Queens borough of New York City. 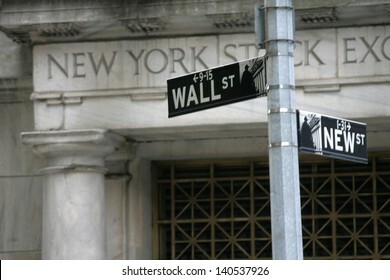 NEW YORK - MAY 30: A Wall Street street sign is shown on May 30, 2013 in New York City. The Exchange building was built in 1903. 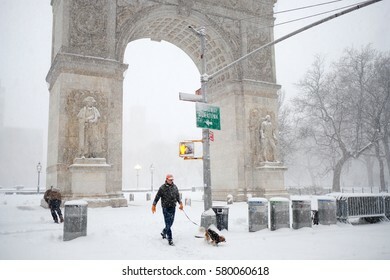 NEW YORK - FEB 9: A dog owner walks his dog near the Washington Square Arch on February 9, 2017 in New York. 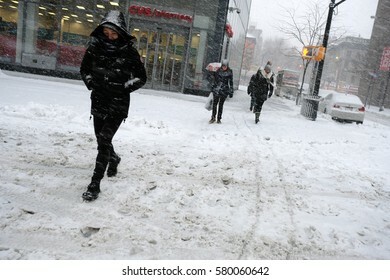 Snowfall totals of approximately six inches fell in and around NYC. 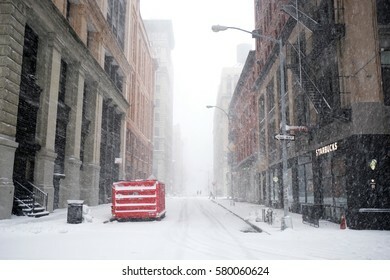 NEW YORK - FEB 9: View of Mercer Street as snow falls on February 9, 2017 in New York. 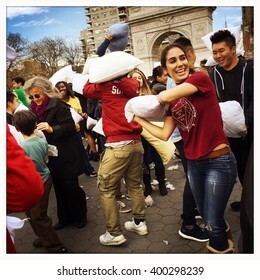 Snowfall totals of approximately six inches fell in and around NYC. 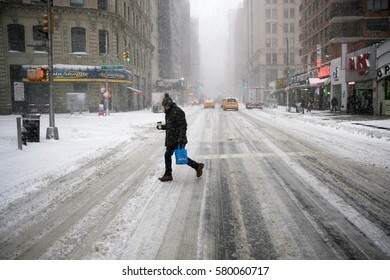 NEW YORK - FEB 9: A pedestrian walks across Broadway as snow falls on February 9, 2017 in New York. 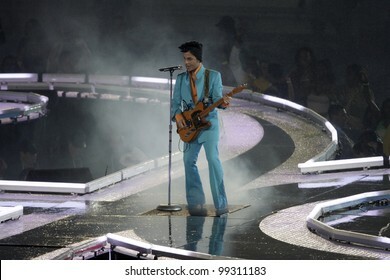 Snowfall totals of approximately six inches fell in and around NYC. 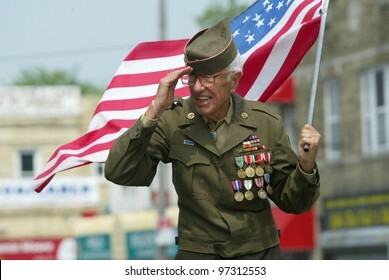 NEW YORK - MAY 29: An unidentified veteran salutes as he marches in the Little Neck/Douglaston Memorial Day Parade May 29, 2006 in Queens, NY. BELO HORIZONTE - JULY 22: A cross lies outside the church of Sao Francisco de Assis July 22, 2005 in Belo Horizonte, Brazil. 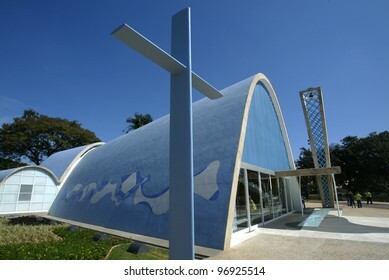 Built by Oscar Niemeyer it is also known as the Church of Pampulha. 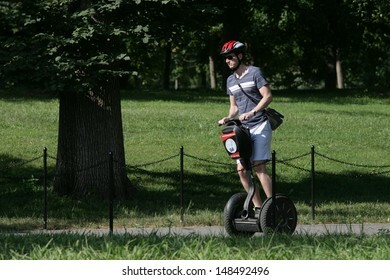 WASHINGTON, DC - JULY 29: A tourist operates a Segway during a Segway tour along the National Mall on July 29, 2013 in Washington. 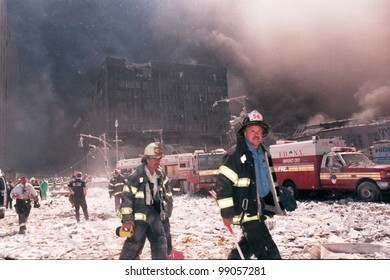 NEW YORK - SEPTEMBER 11: New York City firefighters walk near the area known as Ground Zero after the collapse of the Twin Towers on September 11, 2001 in New York City. 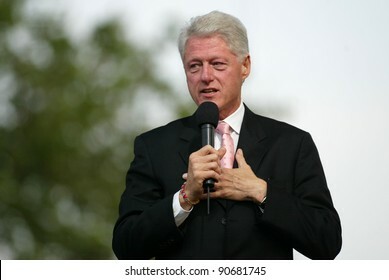 NEW YORK - JUNE 25: Former US President Bill Clinton speaks at the Greater New York Billy Graham Crusade in Flushing Meadow Corona Park June 25, 2005 in the Queens borough of New York City. 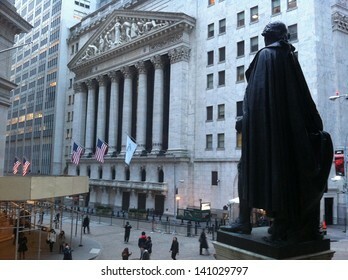 NEW YORK - MAY 13: From Federal Hall, pedestrians walk along Broad Street past the New York Stock Exchange on May 13, 2013 in New York City. 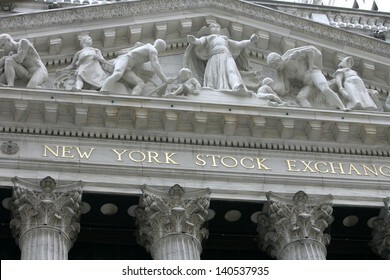 The Exchange building was built in 1903. 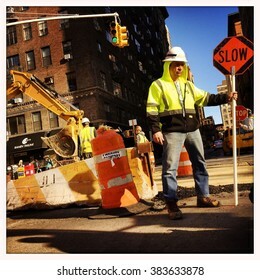 NEW YORK - 28FEB16: An unidentified construction worker holds a Slow sign to control traffic on corner of Waverly St and University Pl on February 28, 2016 in NYC. 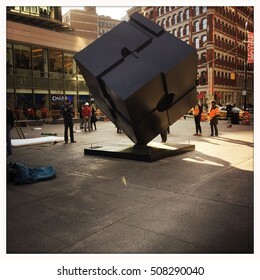 NEW YORK - FEB 9: Pedestrians walk along Astor Place on February 9, 2017 in New York. 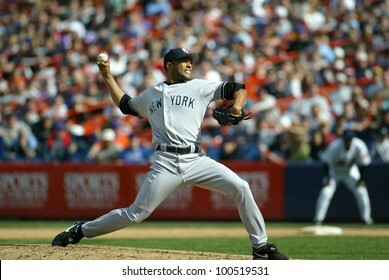 Approximately six inches of snow fell in and around NYC. NEW YORK - FEB 9: A snow plow moves along Eight Street as snow falls on February 9, 2017 in New York. 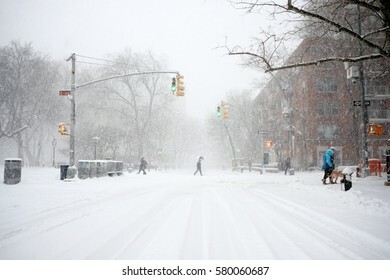 Snowfall totals of approximately six inches fell in and around NYC. 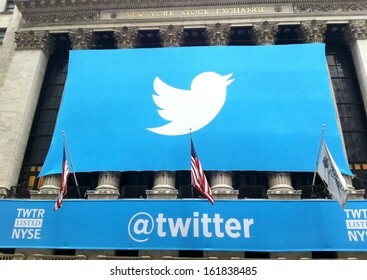 NEW YORK - MAY 30: The New York Stock Exchange facade is shown on May 30, 2013 in New York City. The Exchange building was built in 1903. 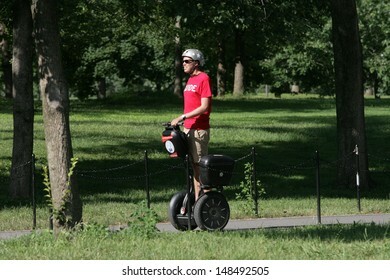 WASHINGTON, DC - JULY 29: A tour guide operates a Segway during a Segway tour along the National Mall on July 29, 2013 in Washington. 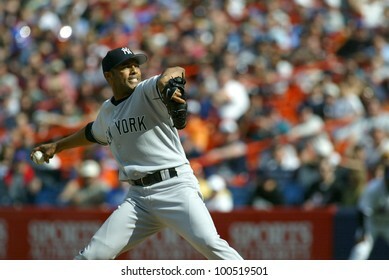 NEW YORK - MAY 20: Mariano Rivera #42 of the New York Yankees pitches against the New York Mets on May 20, 2006 at Shea Stadium in Flushing, New York. 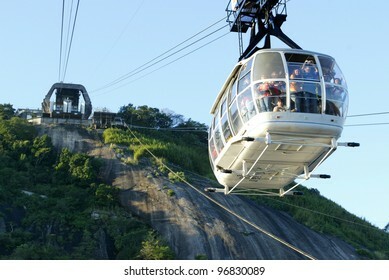 RIO DE JANEIRO, BRAZIL - JULY 16: Tourists ride a cable car as it ascends up the summit of Sugar Loaf Mountain July 16, 2005 in Rio de Janeiro, Brazil. 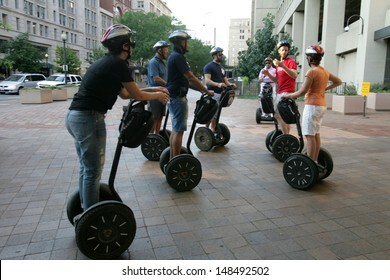 WASHINGTON, DC - JULY 29: Tourists stand on Segways as they listen to a guide during a Segway tour outside the J. Edgar Hoover, FBI headquarters building on July 29, 2013 in Washington. 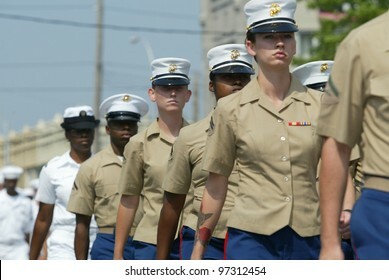 NEW YORK - MAY 29: U.S. military personnel march in the Little Neck/Douglaston Memorial Day Parade May 29, 2006 in Queens, NY. BELO HORIZONTE, BRAZIL - JULY 22: A cross lies outside the church of Sao Francisco de Assis July 22, 2005 in Belo Horizonte. 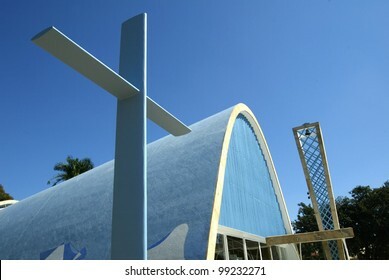 Built by Oscar Niemeyer it is also known as the Church of Pampulha. 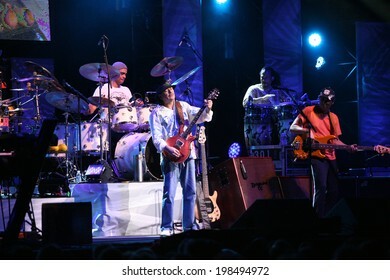 BELO HORIZONTE - JULY 22: An interior of the church of Sao Francisco de Assis is shown July 22, 2005 in Belo Horizonte, Brazil. Built by Oscar Niemeyer it is also known as the Church of Pampulha. 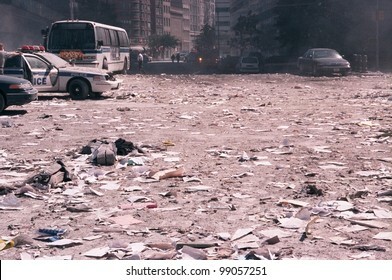 BELO HORIZONTE, BRAZIL - JULY 22: Tourists walk outside the church of Sao Francisco de Assis July 22, 2005 in Belo Horizonte, Brazil. 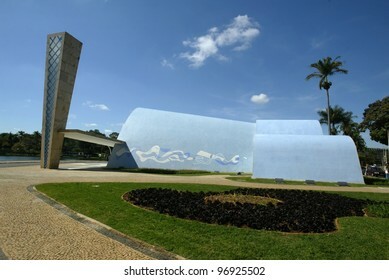 Built by Oscar Niemeyer it is also known as the Church of Pampulha. 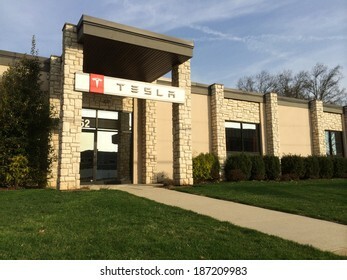 SPRINGFIELD, NJ - APRIL 14: An exterior view of a Tesla Service facility is shown on April 14, 2014 in Springfield, NJ. 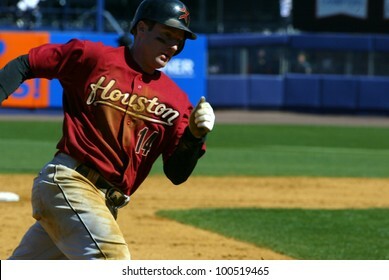 On March 11, 2014 New Jersey passed new rules banning direct-to-consumer sales. 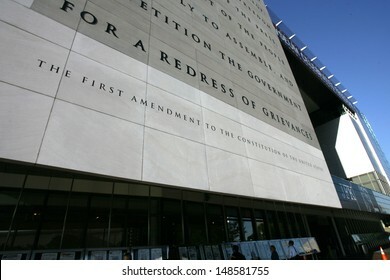 WASHINGTON, D.C. - JULY 29: An exterior view of the Newseum is shown on July 29, 2013 in Washington. 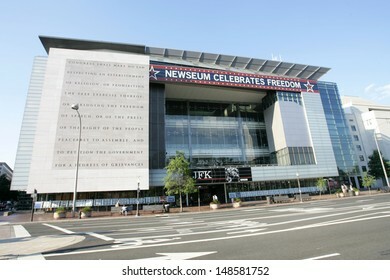 The museum is dedicated to news and journalism, worldwide. 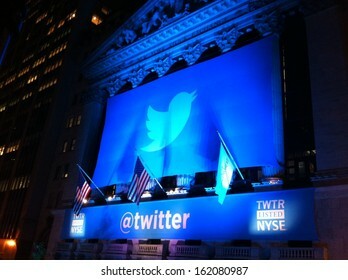 NEW YORK - NOVEMBER 7: The Twitter logo is shown in front of the NYSE on evening of its IPO on November 7, 2013 in New York. 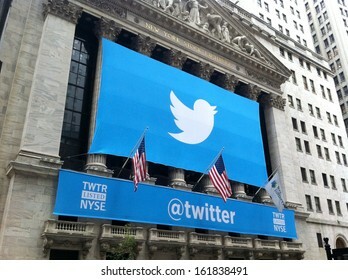 Twitter, ticker symbol: TWTR, went public today at $26 per share. 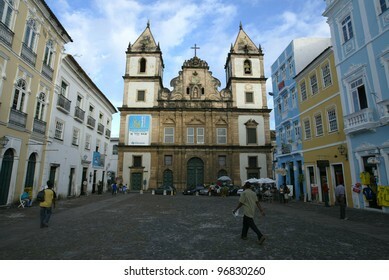 BELO HORIZONTE, BRAZIL - JULY 22: An exterior view of the church of Sao Francisco de Assis is shown July 22, 2005 in Belo Horizonte, Brazil. 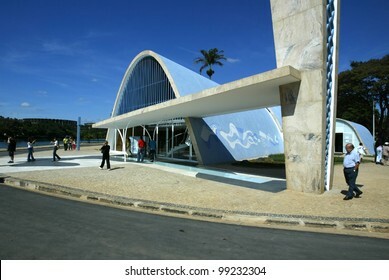 Built by Oscar Niemeyer it is also known as the Church of Pampulha. 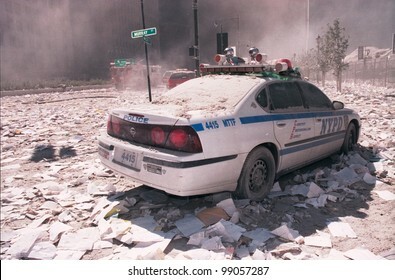 NEW YORK - SEPTEMBER 11: Ash covers a NYPD vehicle as it lies near the area known as Ground Zero after the collapse of the Twin Towers on September 11, 2001 in New York City. 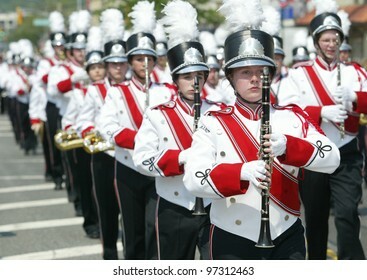 NEW YORK - MAY 29: Young musicians participate in the Little Neck/Douglaston Memorial Day Parade May 29, 2006 in Queens, NY. 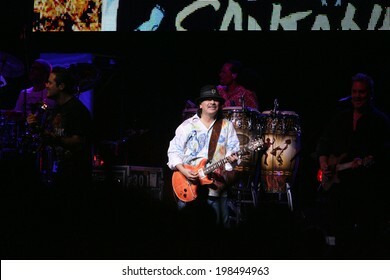 ATLANTIC CITY, NJ - JUNE 13: Musician Carlos Santana performs with his band at The Borgata Hotel & Casino on June 13, 2014 in Atlantic City, NJ. 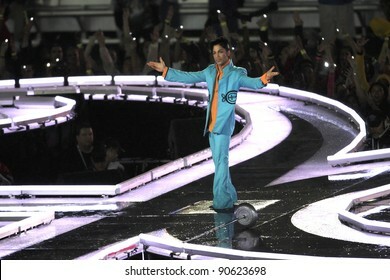 MIAMI - FEB 4: Prince gestures as he performs during half-time for Super Bowl XLI between the Chicago Bears and the Indianapolis Colts at Dolphin Stadium on February 4, 2007 in Miami. 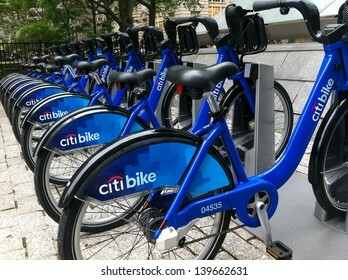 NEW YORK - MAY 24: Bicycles are shown docked at a Citibike sharing kiosk at Bowling Green Station on May 24, 2013 in New York. Operated by NYC Bike Share, thousands of bikes will be available. 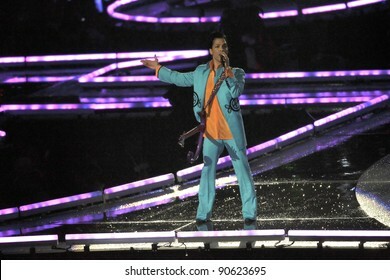 MIAMI - FEB 4: Prince performs during half-time for Super Bowl XLI between the Chicago Bears and the Indianapolis Colts at Dolphin Stadium on February 4, 2007 in Miami. 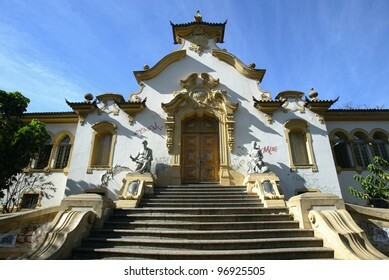 BELO HORIZONTE, BRAZIL - JULY 22: An exterior of the church of Sao Francisco de Assis is shown July 22, 2005 in Belo Horizonte. 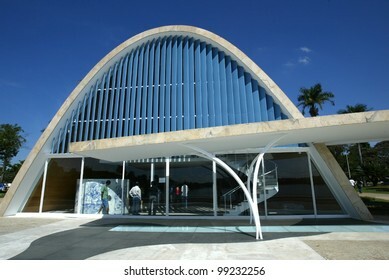 Built by Oscar Niemeyer it is also known as the Church of Pampulha. 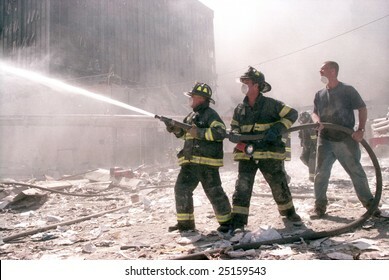 NEW YORK - SEPTEMBER 11: New York City firefighters stand near the area known as Ground Zero after the collapse of the Twin Towers on September 11, 2001 in New York City. 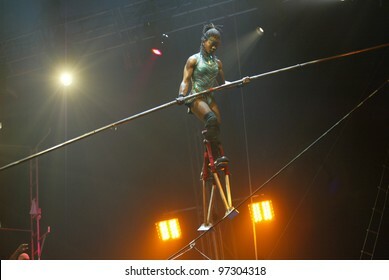 JAMAICA, NY - APRIL 30: A high wire walker performs at the UniverSoul Circus April 30, 2005 in the Jamaica neighborhood of New York City. 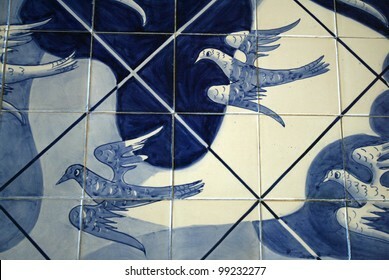 BELO HORIZONTE, BRAZIL - JULY 25: An exterior of a closed school building is shown on July 25, 2005 in Belo Horizonte. 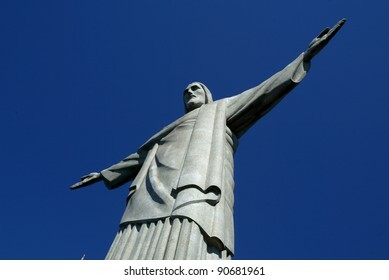 Commissioned by Pedro II, it was built by President Fernando Mello Vianna. 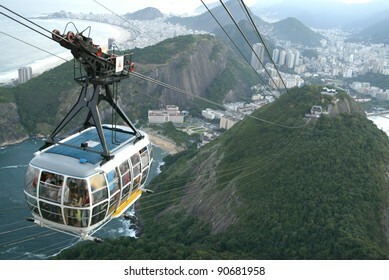 RIO DE JANEIRO, BRAZIL - JULY 16: Tourists ride a cable car as it descends from the summit of Sugar Loaf mountain July 16, 2005 in Rio de Janeiro, Brazil. 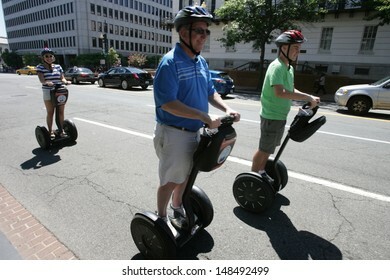 WASHINGTON, DC - JULY 29: Tourists operate Segways during a Segway tour along the National Mall on July 29, 2013 in Washington. FLUSHING, NY - SEPTEMBER 10: Roger Federer holds his trophy after winning against Andy Roddick during the US Open at the USTA National Tennis Center on September 10, 2006 in Flushing, NY. 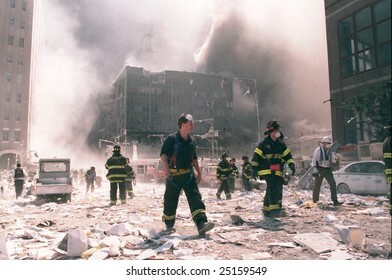 NEW YORK - SEPTEMBER 11: New York City firefighters work near the area known as Ground Zero after the collapse of the Twin Towers September 11, 2001 in New York City. 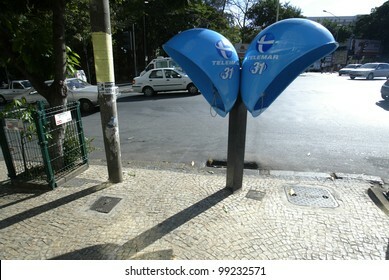 BELO HORIZONTE, BRAZIL - JULY 25: Modern public telephones are shown July 25, 2005 in Belo Horizonte, Brazil. SALVADOR, BRAZIL - AUGUST 1: Pedestrians walk past the church of Sao Francisco in the Pelourinho area August 1, 2005 of Salvador, Brazil. 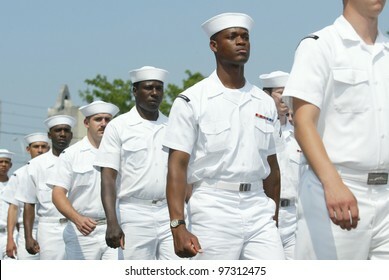 NEW YORK - MAY 29: U.S. sailors march in the Little Neck/Douglaston Memorial Day Parade May 29, 2006 in Queens, NY. 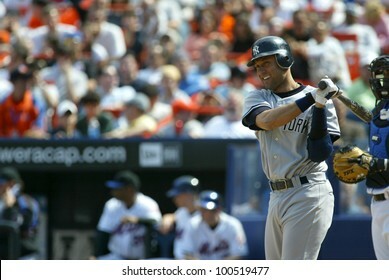 NEW YORK - MAY 20: Derek Jeter #2 of the New York Yankees prepares to play against the New York Mets on May 20, 2006 at Shea Stadium in Flushing, New York. 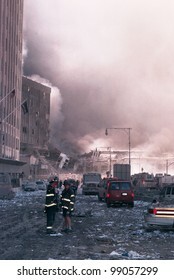 NEW YORK - SEPTEMBER 11: Ash covers the ground near the area known as Ground Zero after the collapse of the Twin Towers on September 11, 2001 in New York City. 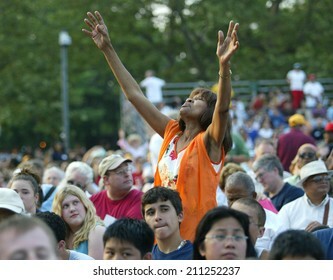 NEW YORK - JUNE 25: An unidentified woman gestures as she prays on the second night of the Billy Graham Crusade at Flushing Meadows Corona Park on June 25, 2005 in Flushing, New York. 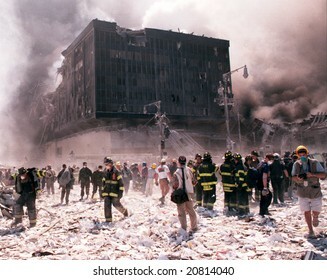 NEW YORK - SEPTEMBER 11: New York City firefighters and journalists stand near the area known as Ground Zero after the collapse of the Twin Towers September 11, 2001 in New York City. BELO HORIZONTE, BRAZIL - JULY 22: A cross lies outside the church of Sao Francisco de Assis July 22, 2005 in Belo Horizonte, Brazil. 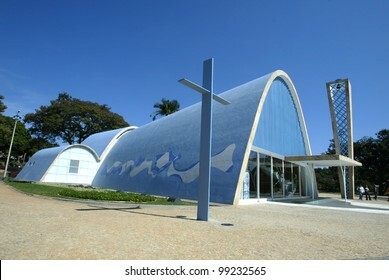 Built by Oscar Niemeyer it is also known as the Church of Pampulha. 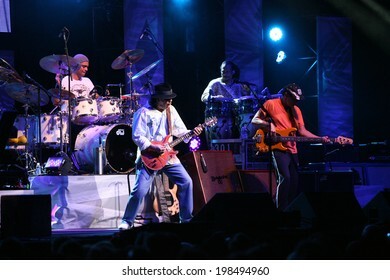 RIO DE JANEIRO, BRAZIL - JULY 17: An exterior of the Museum of Modern Art is shown July 17, 2005 in Rio de Janeiro, Brazil. 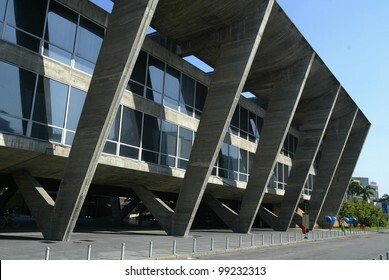 Founded in 1948, the museum was designed by architect Affonso Reidy. 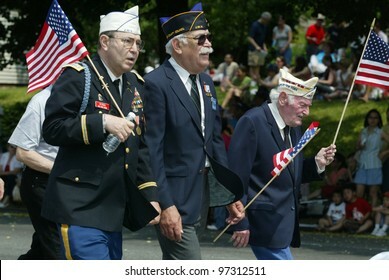 NEW YORK - MAY 29: Veterans participate in the Little Neck/Douglaston Memorial Day Parade May 29, 2006 in Queens, NY. 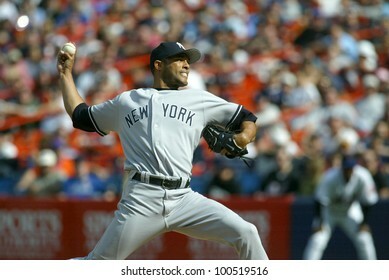 NEW YORK - JUNE 25: Rev. 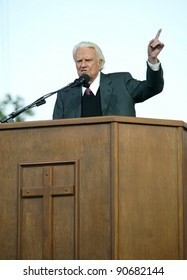 Billy Graham gestures as he preaches at the Greater New York Billy Graham Crusade June 25, 2005 in Flushing, New York. 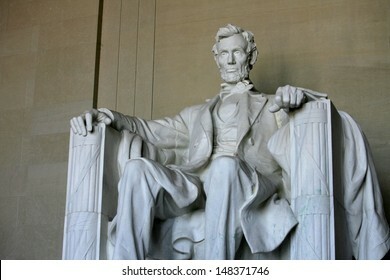 WASHINGTON, D.C. - JULY 29: The statue of Abraham Lincoln is shown at the Lincoln Memorial on July 29, 2013 in Washington, D.C. The memorial was dedicated in 1922. 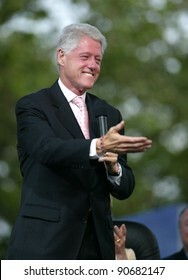 NEW YORK - JUNE 25: Former U.S. President Bill Clinton gestures while on stage at the Greater New York Billy Graham Crusade on June 25, 2005 in Flushing, New York. 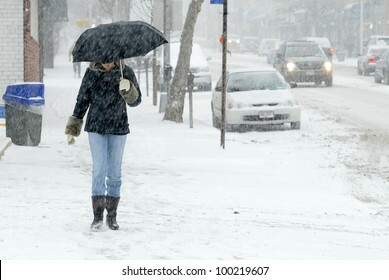 NEW YORK - JANUARY 23: A pedestrian uses an umbrella to shield herself from snowfall on January 23, 2005 in Flushing, NY. 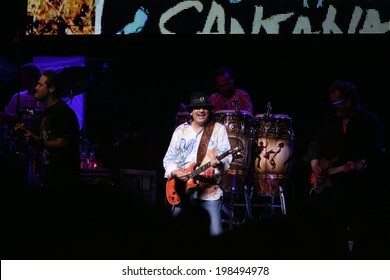 Parts of New York City area was hit with over a foot of snow. 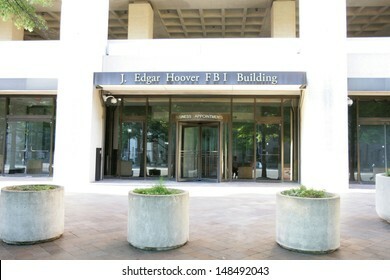 WASHINGTON, DC - JULY 29: An exterior view of the J. Edgar Hoover Building, FBI Headquarters, is shown on July 29, 2013 in Washington. 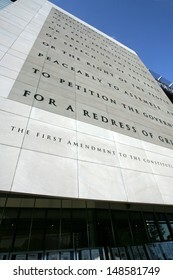 The bureau was established in 1908. NEW YORK - FEB 9: Snow falls on February 9, 2017 in New York. 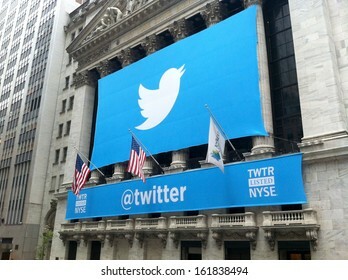 Forecast snowfall totals ranged between five to 11 inches with a total of approximately six inches total and around NYC. 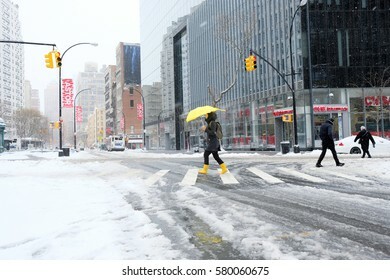 NEW YORK - FEB 9: Pedestrians walk along Astor Place as snow falls on February 9, 2017 in New York. 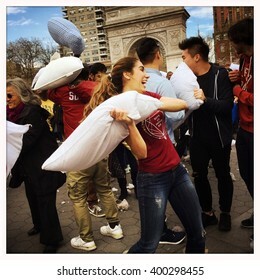 Snowfall totals of approximately six inches fell in and around NYC. 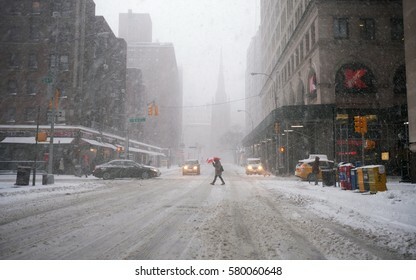 NEW YORK - FEB 9: A pedestrian walks across Waverly Place as snow falls on February 9, 2017 in New York. Snowfall totals of approximately six inches fell in and around NYC. 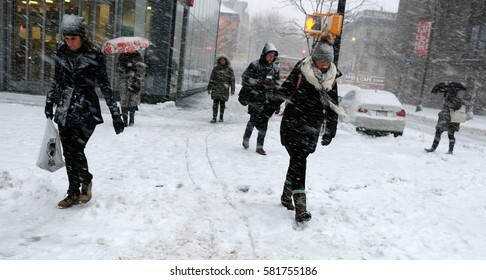 NEW YORK - FEB 9: Pedestrians stand near Astor Place as snow falls on February 9, 2017 in New York. 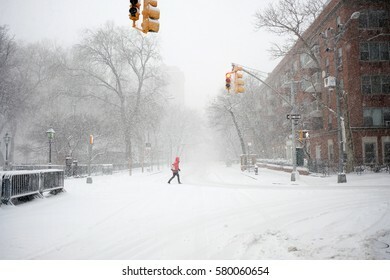 Snowfall totals of approximately six inches fell in and around NYC. 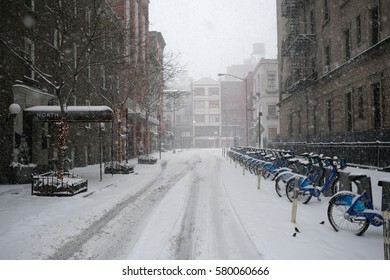 NEW YORK - FEB 9: View of Macdougal St near Waverly Place as snow falls on February 9, 2017 in New York. 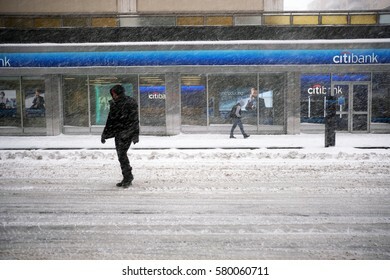 Snowfall totals of approximately six inches fell in and around NYC. NEW YORK - FEB 9: Pedestrians walk across Waverly Place as snow falls on February 9, 2017 in New York. 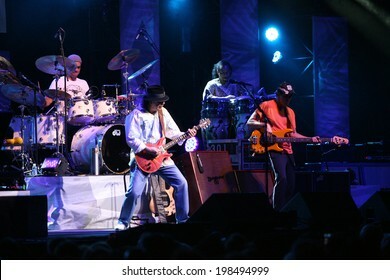 Snowfall totals of approximately six inches fell in and around NYC. 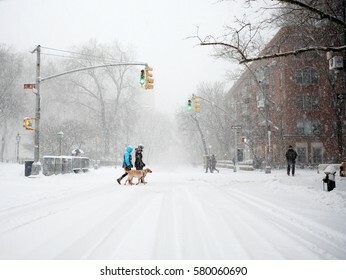 NEW YORK - FEB 9: Dog owners walk their dog across Waverly Place on February 9, 2017 in New York. 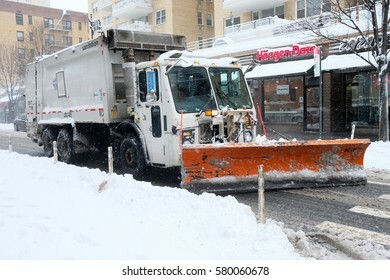 Snowfall totals of approximately six inches fell in and around NYC. NEW YORK - FEB 9: Pedestrians walk along Broadway as snow falls on February 9, 2017 in New York. 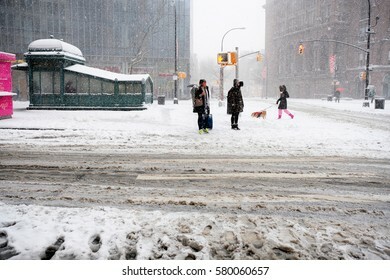 Snowfall totals of approximately six inches fell in and around NYC. 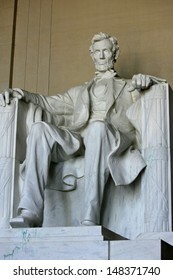 WASHINGTON, D.C. - JULY 29: The statue of Abraham Lincoln is shown at the Lincoln Memorial on July 29, 2013 in Washington, D.C. Vandals recently threw green paint on the statue (seen near right foot). 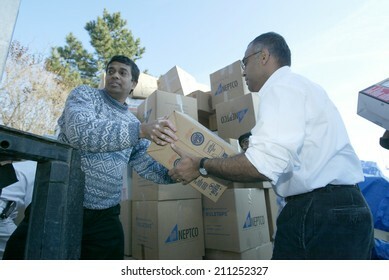 NEW YORK - JANUARY 1: Sri Lankan-Americans from Boston unload clothing and food after arriving outside the Buddhist Vihara Temple to aid tsunami victims on January 1, 2005 in Queens Village, NY. 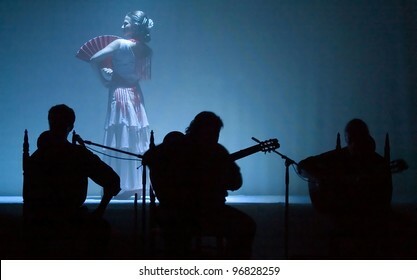 NEW YORK - SEPTEMBER 15: A flamenco performance by Andrea Del Conte Danza Espana takes place at the Thalia Spanish Theatre on September 15, 2006 in Queens, NY. 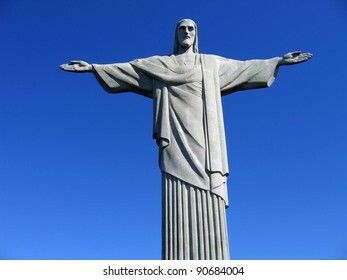 RIO DE JANEIRO - JULY 16: Christ the Redeemer, located on top of Corcovado, Rio's highest mountain at approximately 2,330 feet above sea level, is shown July 16, 2005 in Rio de Janeiro, Brazil. 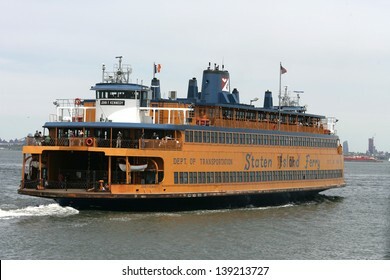 NEW YORK - MAY 17: The Staten Island Ferry John F. Kennedy is shown on May 17, 2013 in New York. SALVADOR, BRAZIL - AUGUST 3: Pedestrians walk near the Elevador area August 3, 2005 in Salvador, Brazil. 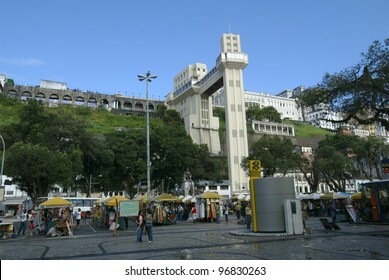 The Elevador links the cidade alta with the cidade baixa. FLUSHING, NY - SEPTEMBER 10: Roger Federer kisses his trophy after winning against Andy Roddick during the US Open at the USTA National Tennis Center on September 10, 2006 in Flushing, NY. 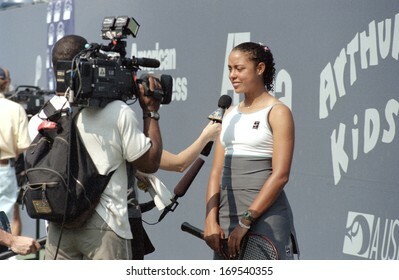 FLUSHING NY - AUGUST 28: Tennis player Alexandra Stevenson answers reporter questions at the Arthur Ashe Kids Day in Arthur Ashe Stadium August 28, 1999 in Flushing NY. 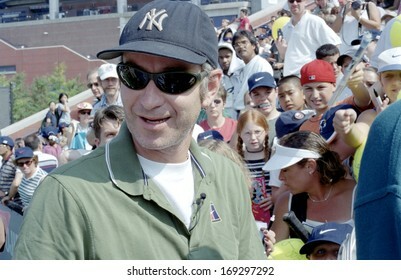 FLUSHING, NY - AUGUST 28: John McEnroe smiles as he attends the US Open Kids Day in Arthur Ashe Stadium August 28, 1999 in Flushing NY.